Come enjoy a crab feast at Costas Inn! Here are some of our most frequently asked questions, to help you make the most of your visit. If we don’t address your question here, please call or come in and ask! Yes, we do! We don’t require reservations for lunch or dinner, or even for crabs, but we highly recommend them, especially if you plan on a crab feast and are hoping for a particular size. 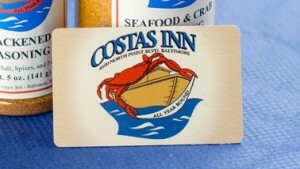 We do not have an online reservation system, but you can make your reservation by calling us at 410-477-1975. How Early Should I Reserve? It is helpful to make your reservation as soon as possible. If you’re making a reservation for crabs and you want a specific size or a large quantity, we definitely need more notice. 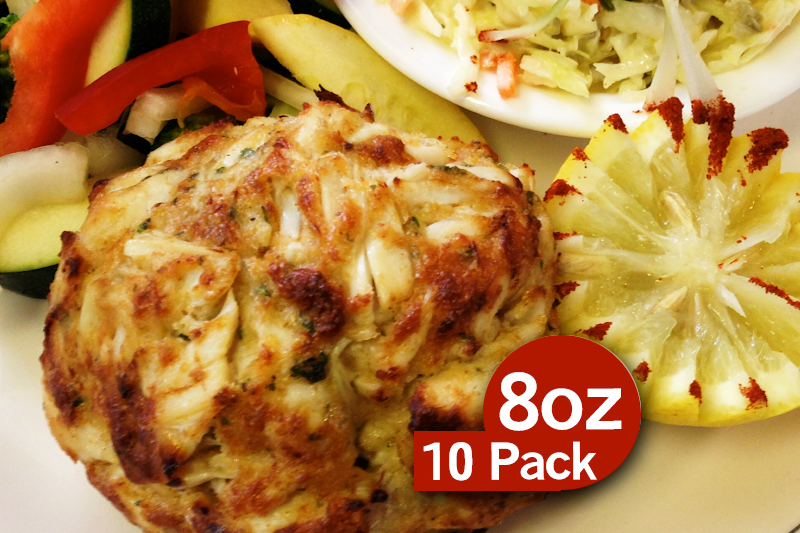 There is also a much greater demand in the summer, though we offer crabs year-round. If you make a reservation, we will hold your requested or second choice size. With enough notice, we can order exactly what you want, but without that notice, you will be limited to what we have on-hand or on our delivery truck for the day. Will I Get the Crab Size I Want? 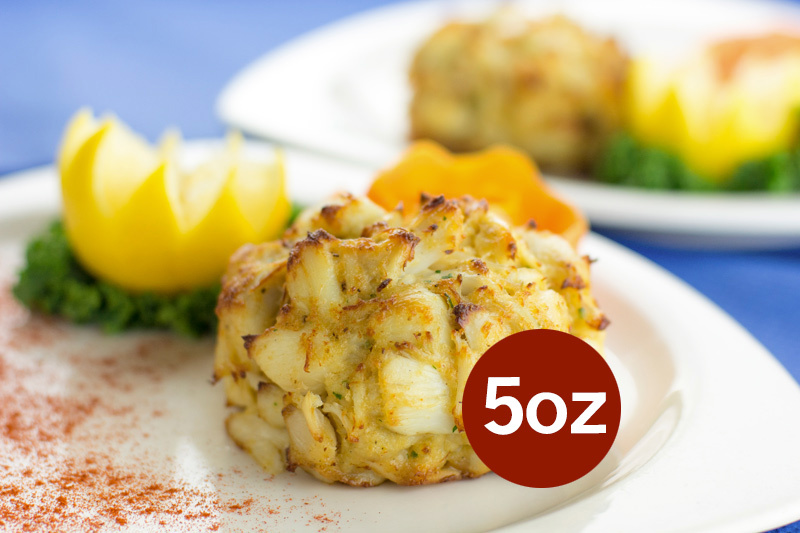 When you call to make your reservation, we will ask for your preferred crab size, a second choice crab size, and the quantity you want. When our shipment arrives in the morning, we will sort and size all of the crabs, then divvy them up by reservations. The reservations are assigned their crabs based on who reserved first, so the sooner you get your reservation in, the better. We accept major credit cards – Visa, MasterCard, American Express, and Discover – as well as American Express travelers checks. 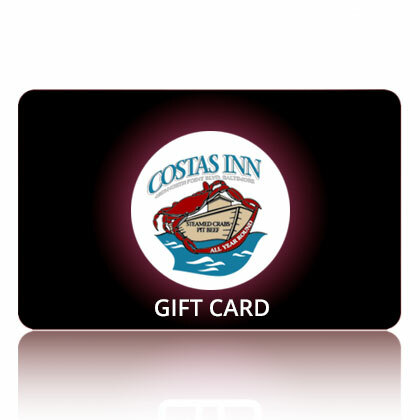 We also offer gift certificates that can be purchased online, over the phone, or in-person in our restaurant. We apologize, but we do not accept personal checks. How Can I Buy Your Seasoning? 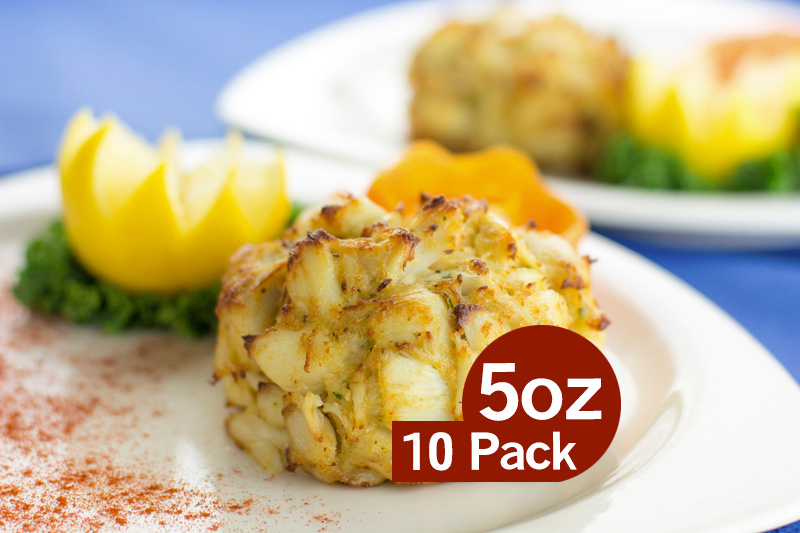 Costas Inn’s Crab and Seafood Seasoning is a delicious addition to any cook’s spice cabinet, useful to liven up not just crab meat dishes but any protein on your plate. You can purchase it when you visit the restaurant, online through our website, or in select supermarkets, like Giant Food, Geresbeck’s and Graul’s Markets. This entry was posted on Friday, February 15th, 2019	at 10:33 am	and is filed under Costas Inn	. You can follow any responses to this entry through the RSS 2.0	feed. Both comments and pings are currently closed.